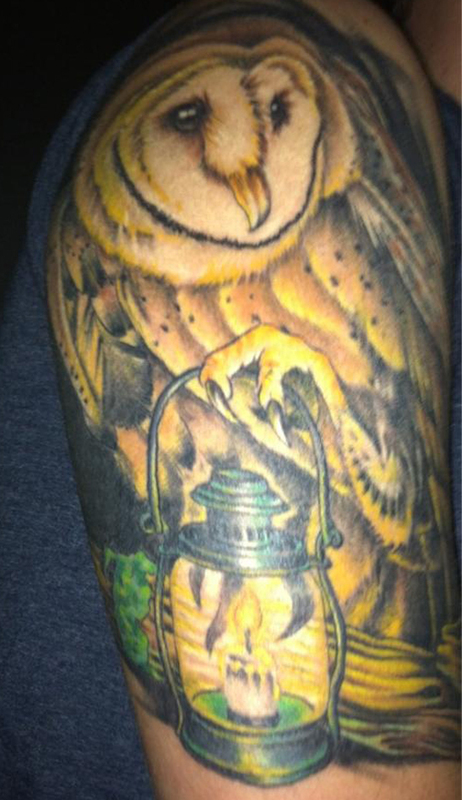 This week’s #TattooTuesday winner is James Fanning a.k.a. @FanniPack with his night owl. 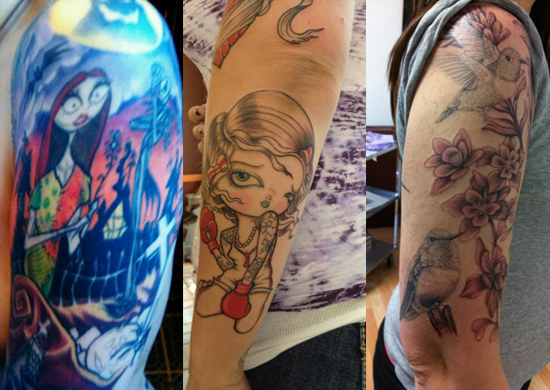 Last week we had an army of awesome arm piece entrants so we’ve picked three #TattooTuesday winners: @harleykaos, @womaninprogress, and @SJVEEN – well they say good things come in threes! This week’s #TattooTuesday winner is @RhiannonBridi who has a rosy future as an SG member thanks to this bloomin’ gorgeous sidepiece. 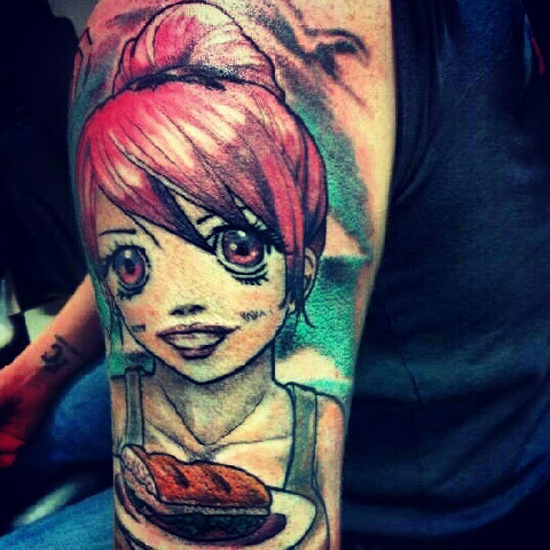 This week’s #TattooTuesday winner is @BornAndBredMark with his “shweet” anime cafe girl. 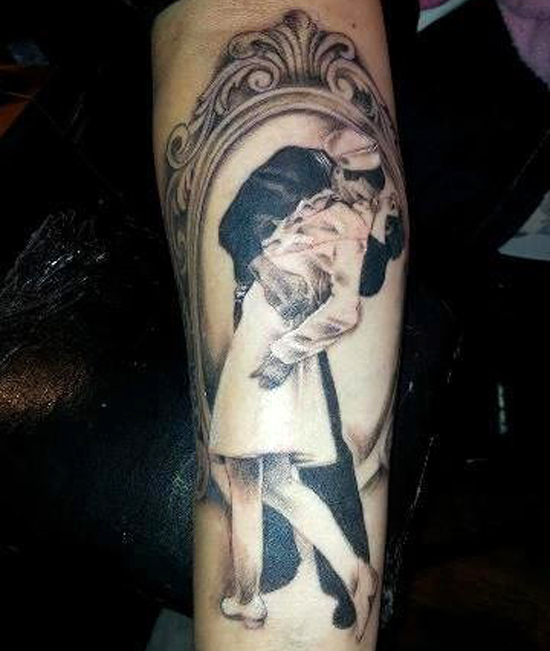 This week’s #TattooTuesday winner is Fran Holmes a.k.a. @Fran_wich with her newest piece – a rendering of the iconic Kiss. 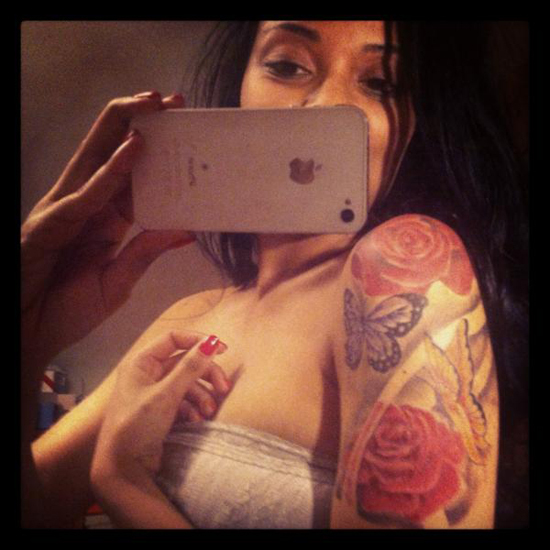 This week’s #TattooTuesday winner is @caryn_pick with her exquisite rose and butterfly body art. 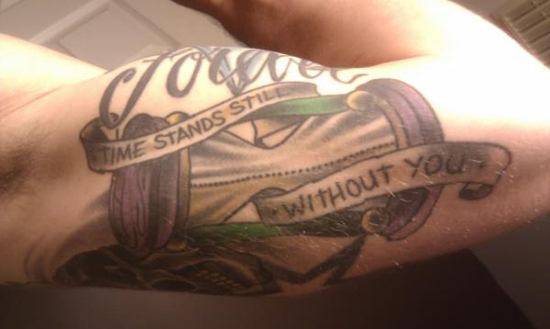 This week’s #TattooTuesday winner is @sstrongone, with an hourglass which was done in memory of his grandfather. “His initials are in the top of the hourglass,” @sstrongone tells us.